The Science Challenge is a week-long program for undregraduate to master level students to further their scientific skills and to get a taste of life Okinawa Institute of Science and Technology Graduate University (OIST). 31 students from Japan, Colombia, Egypt, Indonesia, Mexico and the United States ventured throughout OIST. 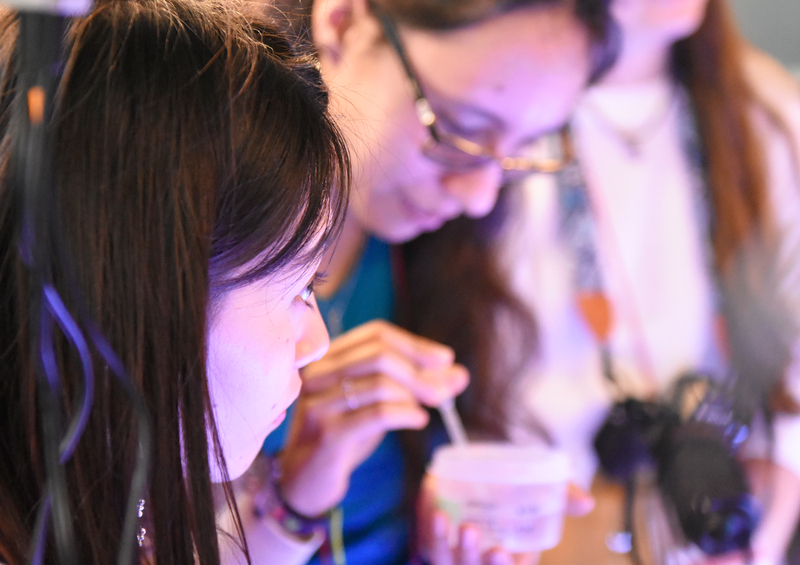 The week in Okinawa beheld cultural experiences, immersive scientific activities, meetings with researchers, and preparations for the challenge. The week began with a fun expedition throughout Okinawa Churaumi Aquarium, the students learned about the importance of the ocean to Okinawa; however, the fun didn’t end there. Students were then introduced to the campus. With tours showing off the beautiful views at OIST, they investigated the science at OIST later in the week. A core component of the Science Challenge is allowing students to dive into deeper depths of their science. They were split into four groups to visit different labs pertaining to their science. 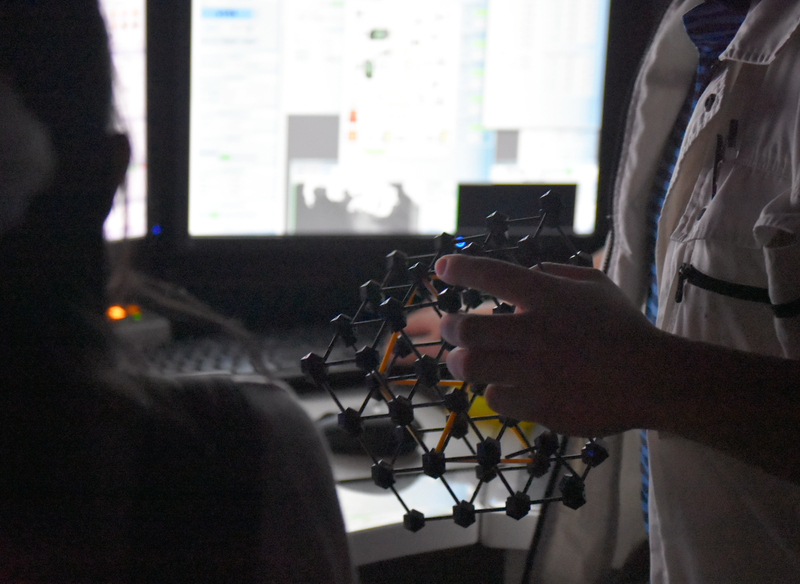 Some students went to the OIST Marine Science Station while others analyzed microscopic atoms. Aside from their hands-on activities, the participants also received a series of valuable science lectures given by faculty members. 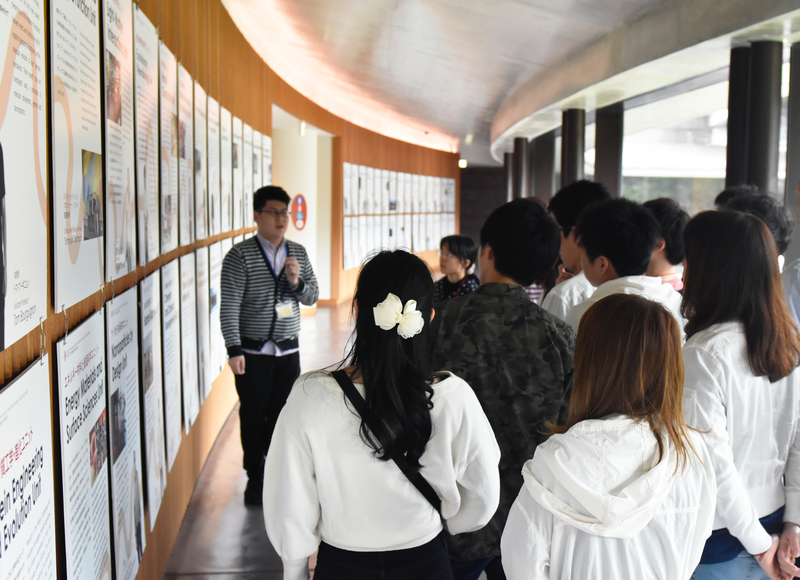 Research Support Specialist Toshio Sasaki shows 2019 Science Challenge participants the Imaging Labs at OIST. They viewed microscopic pictures of atoms and explored the microscopes used daily. The week isn’t all fun though. The students used what they learned throughout the week to present their preferred science. Each day they prepared these presentations. OIST Ph.D. students helped the students prepare giving their advice and expertise. 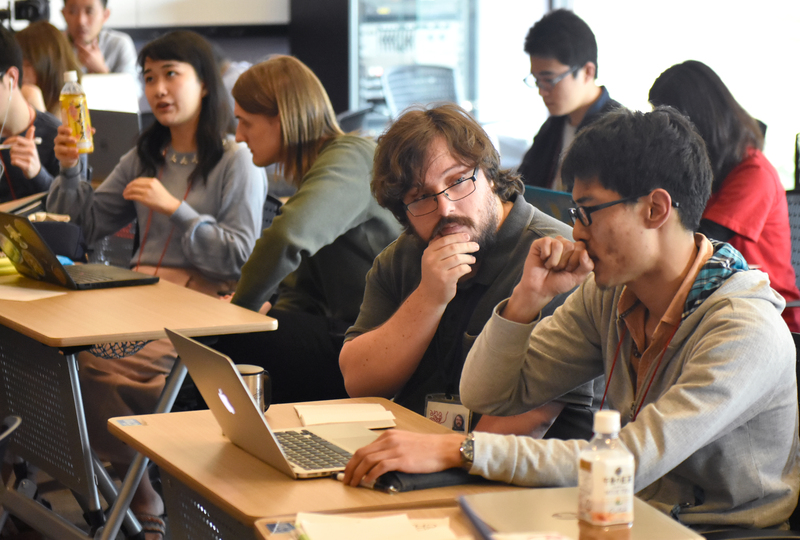 The presentations were judged by Associate Vice President for Communications Youhei Morita, Vice Dean of the Graduate School Misaki Takabayashi, 2015 Science Challenge participant now OIST PhD student Wataru Ohata and 2018 Science Challenge winner now research intern Miyake Minato. The judges considered their passion and curiosity for science, creativity, clarity, audience engagement, and length. Within three hour all students gave their presentations. 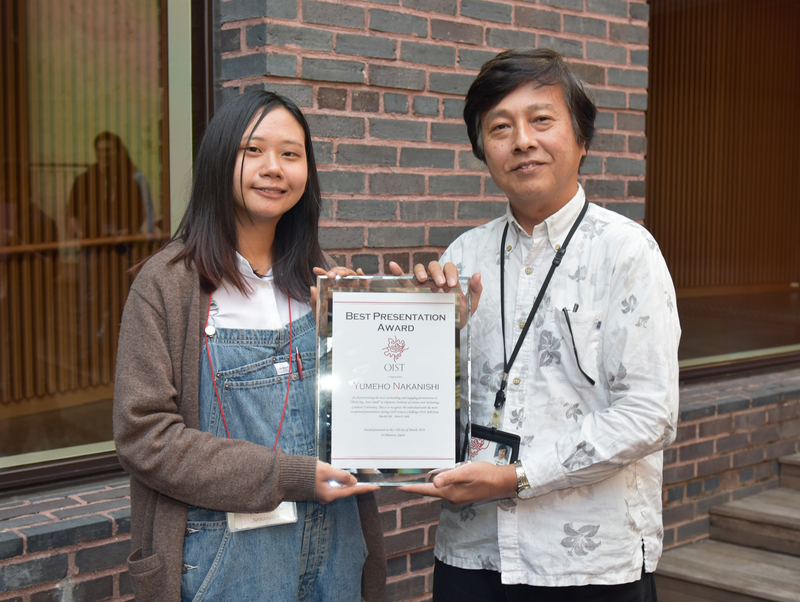 This years’ winner of the challenge was bachelor’s student at Hokkaido University, Yumeho Nakanishi. Their presentation was on creating sustainable ‘meat’ and leveraging cell biology. The honorable mention was Manabu Koide, who envisioned a squid robot to collect plastics in the ocean. Winner of the 2019 Science Challenge, Yumeho Nakanishi poses with Youhei Morita. Nakanishi’s presentation was on incorporating cell biology into creating a more ethical, sustainable meat.